This is delicious as a salad or on Bruschetta.The salty bacon combined with the fresh mint and nourishing beans has a really unique flavour. Try it! Boil 2 cups of broadbeans for 12 minutes and then strain. Sautee your bacon strips with a clove of garlic in the frying pan until crispy. 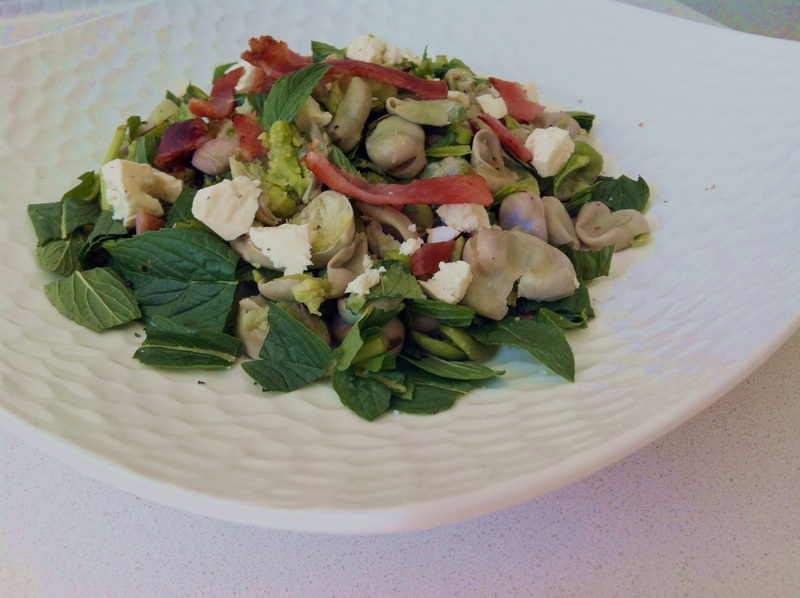 Combine Bacon and broad beans in a bowl with olive oil, lemon juice and ac up of chopped mint. Top some bruschetta or serve as a warm side salad. You can add some torn mozzarella, fetta or goats cheese also but this is optional.